On Friday 12th April 2019, Saar Mall conducted an event under the patronage of member of Parliament Mamdooh Al Saleh. The event was to celebrate the World Health Day in collaboration with Life Pulse Team; for better health. 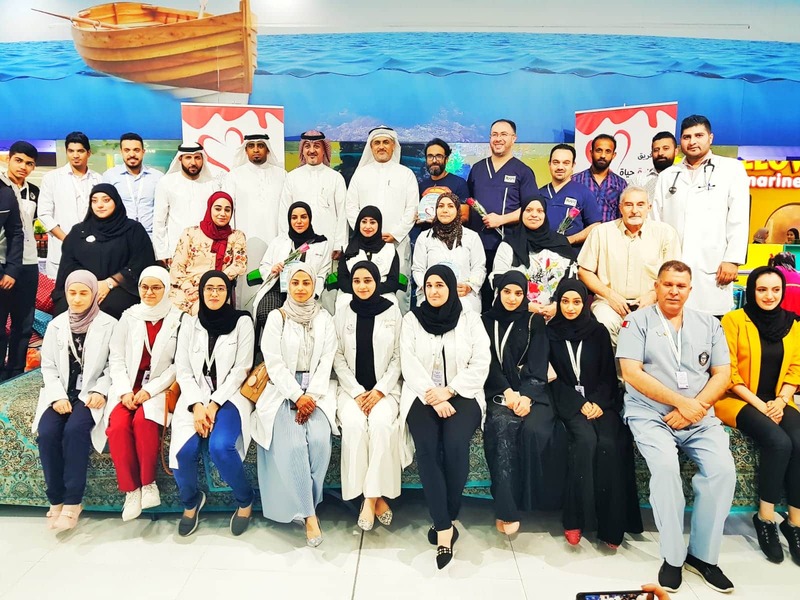 The event included variety of medical examinations such as, Physical, Occupational therapy, General Medicine, Oral Health, Dentistry, Urology, Mental Health, and Osteoporosis Screening. In additional, there was a contribution of many medical clinics and companies. Such as, Dr. Talal Al Sindi; consultant, from Kanoo Centre, Nurse Specialist Nephrology Mr. Mohamed Habib; for Dialysis and Transplant. Moreover, the medical centre of Middle East, the Olympic Lounge E, Al-Jars Factory Company, Wikisiha Health Medical Company, Eucerin Company, Bahrain Multi-Sclerosis Society and MS, and, Ram Dental clinic. To add on, Life Pulse team had created several competitions, and Saar Mall management had provided the prizes. This event objective was to spread awareness to the public about health care, safer life, and healthier. To sum up, the Managing Director of Saar Mall, Mrs. Esmahan Hassan Bokhowa, expressed her deep gratitude to the participators for this event and people who supported, thanking all the medical teams on the Community partnership for taking care of the citizens.